Forever we are driven by words like Values, Principles, Dharma etc. Whether we realise or not we act according to our thoughts and desires. Our thoughts and desires are affected by our instincts and perceptions. Indirectly we are slaves to our instincts and perceptions. These are shaped over years, may be over many lives. We exhibit our sensitivities farom our early childhood. We react differently to same situation. We carry certain believs regarding what is correct and what is not. And these believes are by and large influnced by the society, family, religion we belong to. Our early interpretations of situations are coloured largely by what we are taught at school and home. 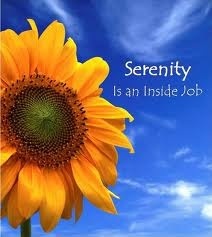 We behave accordingly and we experience life as we interact with life’s situations. We have our own measures of success and failures. And we link that to our acts and thinking process. We keep forming norms, principles, stereotypes as we progress along in our life. In this journey, we start seeking answers to some unanswered questions in our minds. We read books, guides, autobiographies, philosophies, religion discourses etc. Sometime we join some groups and cults to find answers. Basically we are in whirlwind of life and seeking. Higher the intellect, stronger the hunger. I think this is the essence of sojourn in life. We are seeking willy nilly. Some of us may not be aware and some are consciously seeking. In essence all of us are travellers at different locations of this journey. Having said so, my next focus is on the compass of life. What guides us? Our believes guides us. We carry out our Karmas accordingly. We onset a series of cause and effect. The results follow us. Good and bad. Joyous and tragic. Positive and negative. We may not for sometime analyse the results from cause and effect angle till we reach some point in our journey where we are forced to think. The life forces us to analyse our actions. And at sometime, believe or not, the stock taking of Karma happens. The futilities of certain actions and believes become apparent. We also distinguish one experience from another. Some are joyous and therefore permanent in memory as fond ones and some are painful and we donot want to revisit that experience any more. And many are fleeting having no major impact to our psyche. If we carefully analyse we will find that we will be typically proud of the moments we have listened to our hearts, earned others affection and respect, did connect to others’ heart. 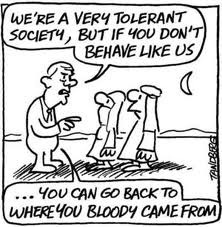 We will regret the moments when we are intolerant, angry, violent, arrogant and egostitical. Deep inside us we resent our actions which we don’t want others to do us. But we prefer not to pay heeds to our hearts. Our mind rules. Our ego rules. The fears reappear. Our perceptions take over. We judge immediately and form an opinion. Our old believes come into play. We take stand from that perspective. Heart takes a backseat. But at times we are melancholy; we are connected, we listen to heart and do things we normally do not do. We are not infected with any of such emotions such as fear, ego, jealousy, greed, intolerance etc. We just do because we liked what we do. We create joy around, we connect and be pure happy. Hence, when we want to understand what is value we need to ask ourselves what are those moments when we felt pure happiness, when we felt pride for what we did, when we had tears of gratitude, when we felt choked with love for some one, when we feel overwhelmed by beauty, relationships, art, and music. 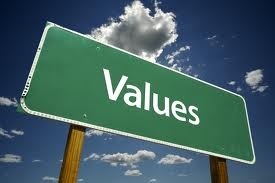 The thoughts creating these emotions are values. No one can negate these; no time, place, community can deny this. These are timeless, infinite, all pervasive. When we want to understand Dogmas, we need to ask ourselves what makes us to be intolerant, hateful, violent, scheming, faking, ungenuine, angry, cross, impetuous, and non listening. We will find that we have very strong opinions on what is right and wrong; everything favouring me and my desire are right and anything that goes against are wrong. Dogmas will breed negativism which will try to acquire, manipulate, scheme, and control. 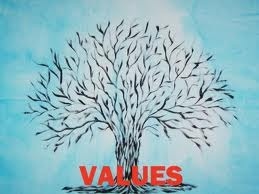 Values will liberate, bring positivity, enable to embrace and accept; help us to letgo, forgive, and give. Take your call. 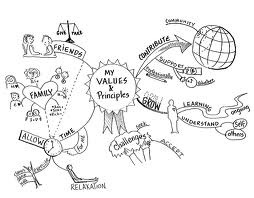 List your dogmas and values. Consciously erase dogmas from life and practice values.